Big Red Car here on a slightly cloudy Saturday in the otherwise perfect ATX. On Earth as it is in Texas! So the Big Red Car is bored. 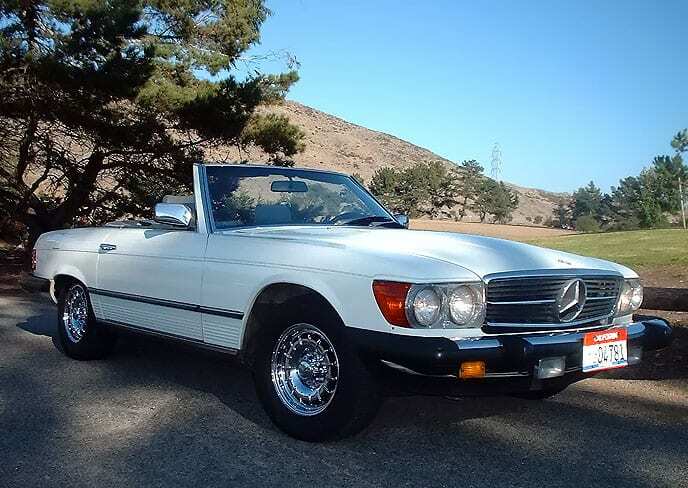 He mentioned that to a very cute Mercedes convertible, lovely white model — 1984 beauty. The Big Red Car has a thing for vintage steel. That made me, the Big Red Car, think about the story of my life — haha, now that’s one Hell of a story — and the story of YOUR life. In the end, we write our own story. Just like in business, wherein you are responsible for managing your own career, in life you are the author of your own life story. If you fail to pick up the pen or if you fail to touch the keyboard, then your the pages may be blank or will be written by others. Don’t panic, you haven’t done anything wrong or fatal — yet. Take a minute to reflect on who you are, where you are currently headed, if that is where you want to go, and then — with all that introspection in hand — decide where you really want to go and who you really want to be. Take up the pen (or keyboard) and write down who you want to be and then go become that person. But, hey, what the Hell do I really know anyway? I’m just a Big Red Car — haha, with a Hell of a story. Be kind to yourself because you deserve it. This entry was posted in Advice and tagged life, life story, your story. Bookmark the permalink. What would you recommend doing if you don’t know where you want to go? Do the hard work of figuring that out before I do anything else? Catalog ALL of the possibilities and begin to sift through them in an orderly manner weighing their relative merits and demerits. Decide to decide and don’t just float with the tide. The tide is going to take you where the tide decides to take you. Do not become either flotsam or jetsam. A hand on the rudder is always more productive. You are the skipper. Steer yourself while considering the possibilities. Just seeing this, BRC. Busy moving #3 son to college this weekend. When I met my wife, she was driving Cherry’s twin. I got her number. I hope you got her tag number. Good luck, BRC! Moving a son to college — a real world milestone. Good luck with that, Mac. Hope he’s going somewhere Southern and warm with a lot of pretty girls. Forty six years ago, The Boss signed the book at VMI. He was the first matriculant in his class. Thanks, BRC. Yes. He can easily check off all three: Clemson; great Piedmont weather; Sourthern Bells. I got to check off my three: Honor’s College; scholarships; Southern Bells. I’ve never known a ‘1st matriculant’. I wonder if George S can say that. Hope the new coach works out this season. I grew up knowing McCombs and feel he contributed to the program while he was there. BRC, in the near future, I want to contact The Boss away from your blog. Use the email provided under ‘Contacts’? Thanks. Fabulous school in a fabulous place. Great engineering school.